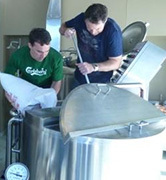 Costanzo Brewing Consultants (CBC) offers services in the Microbrewing, homebrewing and hospitalities industries. Microbrewing– starting a microbrewery or own one? We offer professional services to get you going from planning, procurement of the finest equipment, to commissioning and scientific training. We also audit your current setup. Want to start your own microbrewery? Then see how we provide the necessary steps to making your dream a reality. Homebrewing– want get started or want to improve your homebrewing to make better beer? We offer unique short brewing courses in Australasia at a city near you. 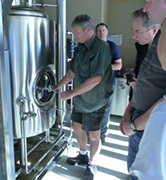 And also bridging courses if you want to start your own microbrewery or brewpub. Hospitality – With the burgeoning increase in beer styles arising from the craft beer scene there is a need to understand the different styles and basics about how they are made, proper storage and dispense so that the barman and seller of these new world beers can “walk the talk”. Learn the what, how, why and when in the perfect course for your staff in the one day brewing course. Do you want to know what the 4 mistakes most brewers make? Avoiding these mistakes will get you well on your way to making great home brewed beer. Learn about the 8 secrets to making great beer. This course will turn you from an ordinary brewer to an exceptional one, even if you have been brewing for some time. Dispel the 13 myths that abound in homebrewing and learn how to put all the pieces together to get the right brewing picture. To book, click from one of the Masterbrew course buttons above and then select the Book NOW and follow the prompts. 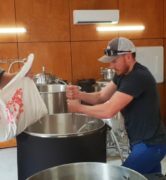 You will get a head start on starting your own microbrewery that will deliver not only the right quality beer and get you making it with the right equipment but guide you in those early preperation steps to do with business models, licencing, business plans and setting up protocols in the brewery! extensive notes given on subjects above and then consultaion by phone, Skype or in person to discuss your personal situation and plan out a course of action.